There are some core game books out there that give you both the player's and GM's info all in one book. Those are cool, and I can see how it's really helpful, but sometimes it's a bit overkill. That's where just a player's guide can come in. And that's what Modiphius has done with their Conan: Player's Guide that's available now. The material is from the core book, but only has just what the players need to get going. 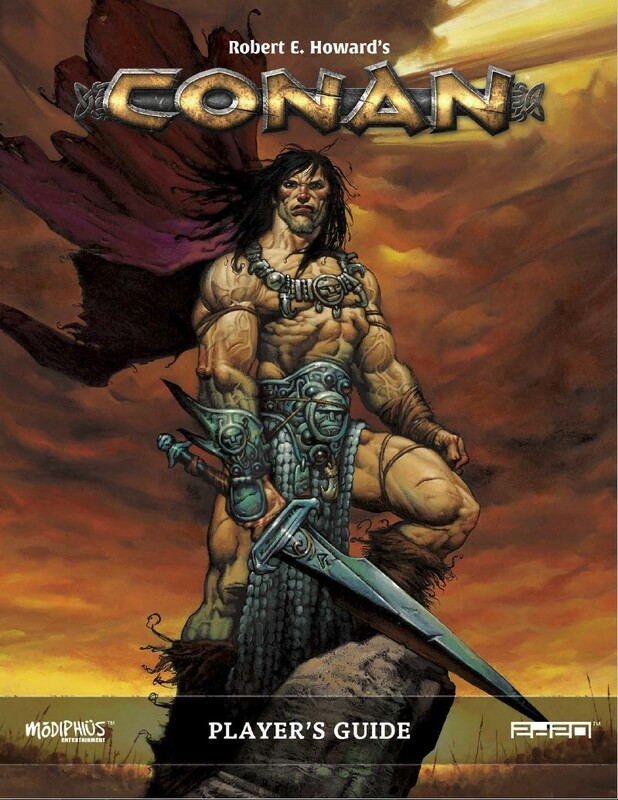 Today we're really pleased to announce the release of Conan: The Player's Guide, our brand new source book for Robert E. Howard's Conan: Adventures in an Age Undreamed Of , which takes you into the world of Conan the Barbarian, a place where astonishing heroes battle loathsome monsters, raise swords against dire sorcery, and travel to exotic and unknown lands! The Conan Player's Guide is aimed at firmly at players of the game and contains content drawn entirely from the Conan roleplaying game core book. If you own the core book, you don't need to purchase this book. However GMs may wish to let their players and RPG groups know it is available!